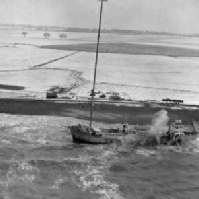 On 19th January 1966 the Essex coast was experiencing bad weather with a Force 8 gale and driving snow. At 9.00pm that evening Walton-on-the-Naze coastguards noticed that the Radio Caroline South ship, Mi Amigo, was not at her usual position and appeared to be dragging her anchor. The swivel rope controlling the ship's three anchors had snapped and, without anyone on board realising, the Mi Amigo had begun to drift towards the coast. 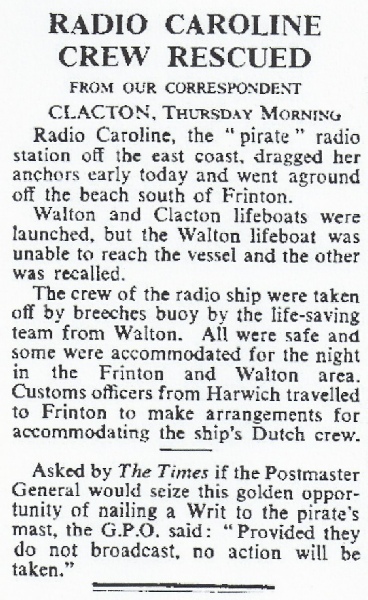 Attempts by the coastguard and North Foreland Radio, using emergency channels and even flashing lamps, to warn the Mi Amigo that she was adrift were unsuccessful. Radio Caroline's agent in Harwich, Percy Scadden, also tried to alert the crew by flashing his car headlights at the radio ship, again without success. The regional television station, Anglia Television, was also asked to broadcast a warning message to the crew of the radio ship and, although the message was flashed on television screens during the evening's programmes, it is uncertain how successful this action was as the crew were watching programmes on another channel that night. Walton-on-the-Naze lifeboat was launched and the Clacton lifeboat stood by ready to provide assistance if necessary, while Caroline South's own tender, Offshore One, left Harwich to try to reach and assist the radio ship whose crew were still oblivious to their own plight. It was only shortly before the tender reached the Mi Amigo that the crew realised their perilous situation. By then, however, it was too late and as repeated attempts were made to start the engines the ship drifted further and further towards land. 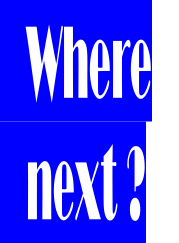 At around midnight the Mi Amigo ran aground at Holland Haven, Frinton-on-Sea, narrowly missing one of the many concrete groynes which are situated all along that stretch of beach. Twenty minutes later the Captain put out a Mayday call requesting assistance, but neither the lifeboat nor Offshore One could get close enough in the shallow water off the beach to help those on board the stranded radio ship. 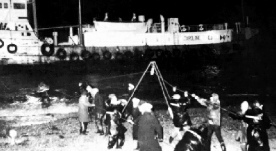 In freezing temperatures and heavy seas it was another hour before 25 members of the Coastguard Service, together with auxiliaries from the Walton Life-saving Apparatus Company, were able to rig up a Breeches Buoy and, in an operation illuminated only by parachute flares, five DJs, two radio engineers and a steward were taken off the ship. The Captain and six crew members stayed on board the Mi Amigo while coastguards and the lifeboat crew stood by to provide assistance if required. The rescued DJs and radio crew were taken to the Portobel lo Hotel in Walton-on-the-Naze where they were given food and dry clothing. When daylight broke on 20th January 1966 it became apparent just how fortunate the Mi Amigo had been - a few yards either side of her were those concrete groynes, which had she struck one would almost certainly have damaged the radio ship beyond repair. As it was the vessel was listing slightly and had already sunk about four feet into the soft sand on the beach. During the afternoon the Dutch salvage tug Titan arrived and took up position some 500 yards offshore and on the midnight high tide numerous attempts were made to drag the stricken vessel off the beach. However, the re-floating attempt had to be abandoned when the five inch thick tow line snapped under the tremendous strain. By the time of the next high tide the Captain of the Mi Amigo had decided to try and free the vessel himself by attaching the Mi Amigo's anchor to a long cable and taking this out into deep water where it was dropped until it held on the sea-bed. Then, by a combination of winching on the cable and using the power of her own engines the Mi Amigo successfully pulled herself out of the sand and was re-floated on the incoming tide. Once free of Frin ton Beach the Captain anchored the Mi Amigo about a mile offshore while divers inspected her hull. Some minor damage had been sustained by the radio ship and it was decided that before returning to her anchorage she should be taken to Holland for permanent repairs to be undertaken. The Mi Amigo sailed under her own power, but accompanied by the tug Titan, for Holland, arriving in Zaandam on 23rd January 1966 where she was dry docked. Caroline South DJs being rescued from the Mi Amigo by Breeches Buoy.